Typing out the names of a teams starting eleven is easy to do, but the difficulty comes when you want to put the players in a specific formation, especially when you want to share that formation online. 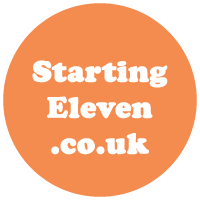 Starting Eleven was created to allow the easy creation of football formations, with each created image being stored on our servers, to allow you to easily share them online. In addition to the creation of new formations, you can also search existing formations, popular football players, as well as all user created formations. Why not create your own football formation and share online.